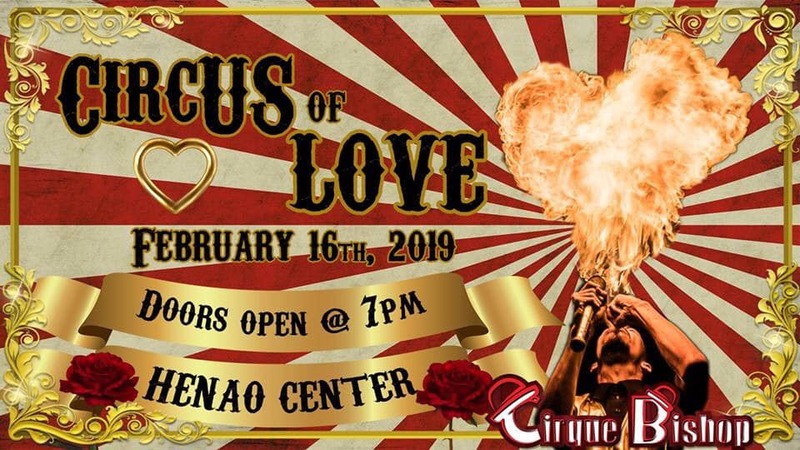 You are cordially invited to Cirque Bishop's first public showcase, circUS of LOVE. Join us for a sensational soiree filled with all types of love & a variety of breathtaking circus acts. Bring a group of friends, a date, coworkers, a family member, etc. This event is meant for ALL and is a celebration of love in it's many forms! We aim to captivate you and your guests as we take you with us on the roller coaster ride that is love. OK in the gravel lot behind the venue. OK at Forest Edge Plaza where the AUTO ZONE is. OK at the other giant plaza behind Race Track. NOT OK to park at George’s bar and grill. They TOW.